Cage The Elephant Announce New LP 'Social Cues' And Share New Single 'Ready To Let Go' - GENRE IS DEAD! 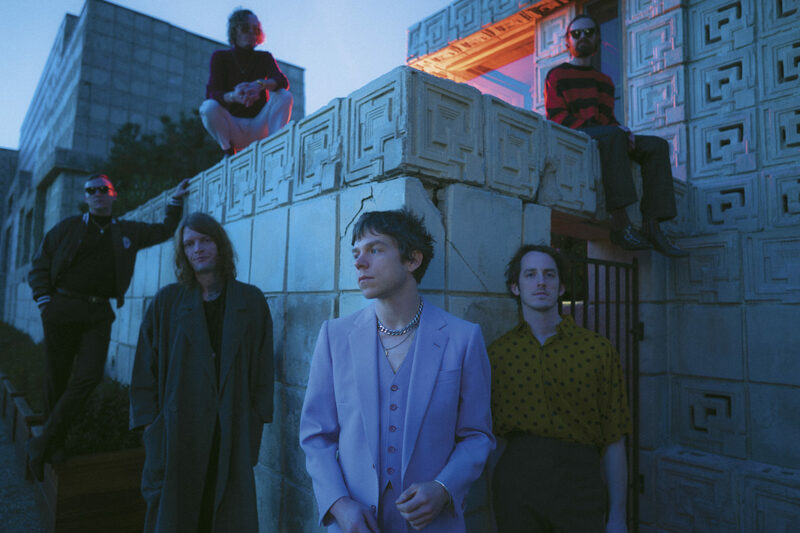 Kentucky rockers Cage the Elephant have announced their new album Social Cues, out April 19 via RCA Records. There are 13 tracks in total, including a collaboration with Beck. They also shared the new video for the album’s lead single “Ready To Let Go,” which you can watch below. Recorded in Nashville and Los Angeles, the album was produced by John Hill, known for his work with Florence and the Machine and Portugal. The Man. The record was written during a time when frontman Matt Shultz was dealing with the dissolution of a relationship. Pre-order Cage the Elephant’s Social Cues here. Currently, the band is scheduled to perform at Atlanta’s Shaky Knees Festival in May. Pingback:Cage The Elephant, Beck, And Spoon Team Up For Summer Tour - GENRE IS DEAD! Pingback:Listen: Cage the Elephant and Beck Share New Song ‘Night Running’ - GENRE IS DEAD! Pingback:Listen: Cage The Elephant Share Melancholy Ballad 'Goodbye' - GENRE IS DEAD!